How many times have we been confronted with completed assignments that did not accomplish what we intended to teach or assess? With every lesson and every assignment, there is often a percentage of students who did not demonstrate competency at the level we had hoped. We assume that these students may require reteaching. However, we may be surprised to find that the students knew the information all along. We then are perplexed and ask, why didn’t the student just show that on paper? Why did Nathan not answer this way on the test? Why did Karina leave that question blank on her exit slip? This is the moment when we take proactive steps and consider the design of our lessons, projects, essay prompts, graphic organizers, tests, etc. Most importantly, this is when we reflect on the individualized needs of all students in our classroom. When further questioned, Nathan revealed that he needed more space on the activity sheet to solve the math problem, as well as additional time. Karina shared that she didn’t understand what the question was asking her on the exit slip, and she was too embarrassed to ask the meaning of words, such as excerpt and infer. It is vital that we inquire as to why students are not meeting standards and demonstrating competency. Do students understand the directions and what is being asked of them? Does the assignment match the objective I have for each student? Can I infuse students’ individualized goals into this assignment? Did I use principles of Universal Design for Learning when designing this assignment, prior to making adaptations? Can students read the material? 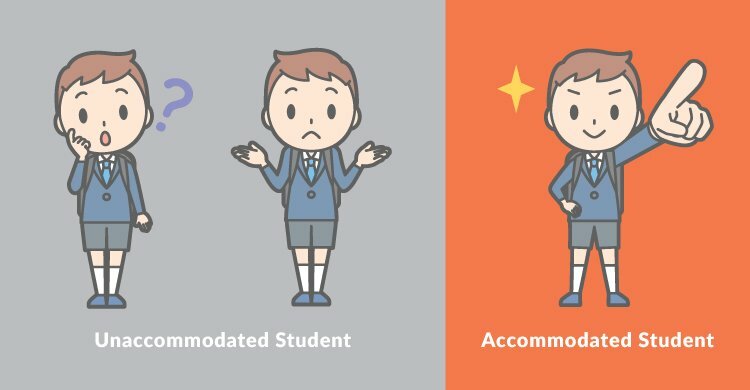 Do I understand the difference between accommodations and modifications? Did I maintain rigor when I adapted the curriculum? When designing our lessons and activities, we not only ask ourselves what is our objective for the lesson and each activity, but we also ask ourselves what is our objective for each student, especially for students with learning and language differences. Students with disabilities and those who are learning a second language may have different targets and specific individual goals they are working to achieve. Asking ourselves what our objective is for students will guide us in how to adapt curriculum and provide needed support so all students can have access to the general education curriculum and succeed. Trying to pinpoint when and where to work with students on individualized student goals can be a tricky situation. But guess what? With a little creativity and universal design, we can easily incorporate student goals into our lesson design. Brian has a goal of writing complete sentences using proper grammar, punctuation, and spelling with the use of a word bank. The class is answering questions based on a movie clip they watched on a provided activity sheet. Brian’s activity sheet should include a word bank and lines to write on. Given a little more thought and remembering the principles of universal design for learning (UDL), we decide we can provide all students with a word bank, as well as lines to write on. Having a word bank and lines provided to students who don’t need them does not do any harm. 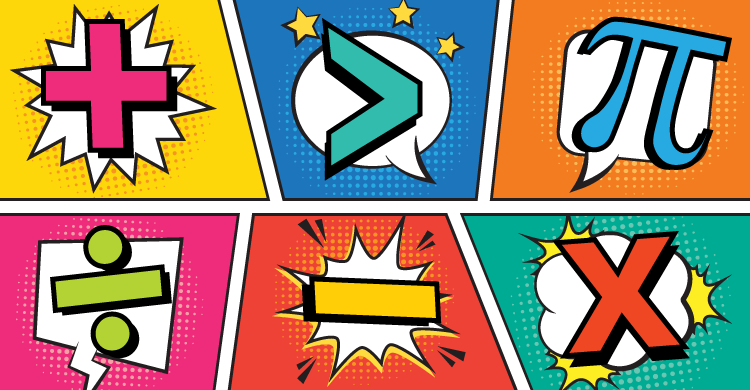 The principles of UDL guide us to easily create lessons that are accessible to everyone, without having to make as many individualized assignments. We also need to consider reading levels. Can our students decode and comprehend the content we are providing? Elena is provided with a novel to read in her fifth-grade class. She is very outgoing, and from her verbal interactions with others, you would not notice she has a learning disability and that English is her second language. She is a very hard-working student and follows along with the text during class activities. However, when working with her closely and reading through her student profile, it is evident that she is reading below grade level. Because of her constant participation in class and her ability to appear as though she is reading the novel, she could be easily overlooked and given a book that she is unable to read. While she still may be given the same novel as her peers to follow along during in-class activities, she also needs to be given supports such as an audio recording of the book or an abridged version. Also, key terms may need to be defined for her. The next looming question might be, can someone please explain the difference between accommodations and modifications? Well, that can easily be explained by determining whether or not the adaptations change the standards. An accommodation provides supports that allow students to still meet the standard, whereas a modification changes the task enough to actually modify the standard of the activity. Again, this brings us to asking, what is our objective for this student? For instance, in history class, students were assigned an essay in order to assess their knowledge regarding eight main facts taught in class about the civil rights movement in the United States during the 1950s and ’60s. Since our standard for this particular assessment was to evaluate student knowledge of these eight facts and not the actual writing skills, an accommodation would be to provide choices for assignment completion. Such choices may consist of orally responding to the essay prompt while using textual evidence, creating a storybook, designing a PowerPoint or video with images and facts, all of which would demonstrate a deep understanding of the required eight facts. A modification for the same assessment would require students to complete any of these options while demonstrating a deep understanding of only four facts. The examples given for both an accommodation or modification target the objective of assessing students’ knowledge about the civil rights movement. Providing choice encourages use of students’ individual strengths while providing the necessary supports to obtain success. You might be thinking, but how can I have students all doing different assignments and still ensure high expectations? When providing curriculum adaptations, rigor should never be compromised. Instead, the goal is to provide the necessary supports that will ensure access and demonstrate competency. Accommodations and modifications are simply avenues that create opportunities for students to have access and demonstrate their knowledge while being challenged at their level of learning.